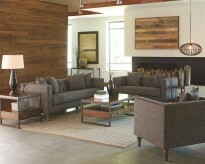 Width : 61" - 70", 81" - 90"
Furniture Nation is proud to offer the Alexis Charcoal Sofa & Loveseat Set online. We serve customers across the DFW region including Southlake, Richardson, Fort Worth and many more. 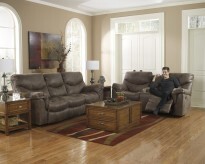 Alexis Charcoal Sofa : L86" x D35" x H32.5"
Alexis Charcoal Loveseat : L61" x D35" x H32.5"